LED Bulbs are vary in the market, different prices and different quality. LED bulb is working with high input voltage,which is dangerous for people,as a result, it is not only the money issue, but also it is a safety thing. It is very necessary and important for customers to know the basic knowledge of LED light bulbs. In this post, we’ll teach you how to buy the best LED bulb with confidence and safety. An LED bulb is a light-emitting diode (LED) product that is assembled into a light bulb for use in lighting fixtures. LED is the core of this product. Let’s dig into the main features of LED. High Power LED, 1-watt per LED and 3-watt per LED are widely used today. COB (Chips on Board), LED chips are in the form of a semiconductor chip directly mounted onto a PCB or a substrate. As for the light bulb, in old time, high power LED was the popular type for the light source of at present,SMD LED is the most common one. Learn more about vary types of SMD LEDs. As for traditional lights,like incandescent lamp, fluorescent lamp and compact fluorescent (CFL) bulbs, higher wattage means brighter light, for example, 100 watt incandescent lamp is brighter than 60 watt one. Unlike traditional lights, the brightness of LED bulb is determined by lumen. Lumen (lm) is the measurement of brightness provided by a light bulb, or the total amount of light generated. The higher the lumen is, the brighter of LED bulb will be. 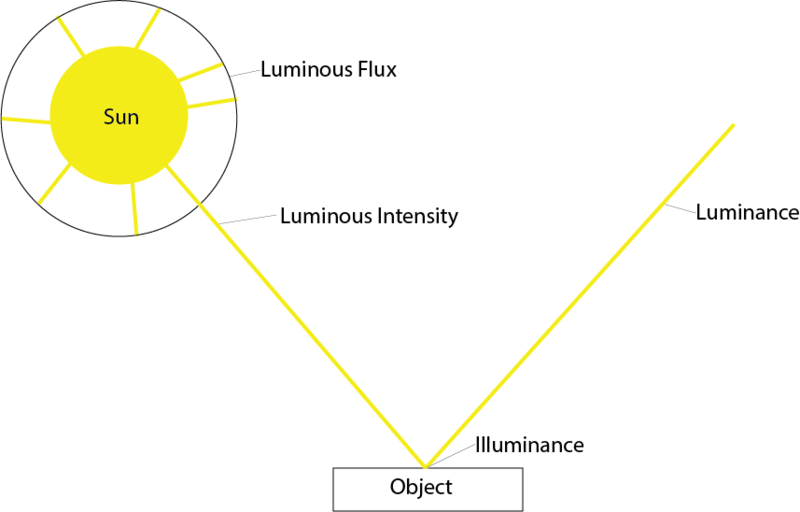 Lumen is the unit of luminous flux. The real lumen can be measured by an integrating sphere. But this test machine is very expensive, most of the consumer won’t able to afford it due to only buy serval pieces of bulbs. There has a cheaper solution, to use a handheld optical measurement meter, however the shortcoming is obviously that the test result is not as accurate as the integrating sphere. If LED bulb has the same lumen as the traditional light, is it mean they have the same brightness? Because of the luminous intensity is different. You may see some LED lights measured in mcd, or millicandelas. The candela is a measurement of the total light generated and focused in one particular direction. This is why you might see a flashlight rated in candelas rather than lumens- it is more useful to know how much light is focused with the flashlight, not the total light, which includes some light dispersed in all directions. Intensity is like brightness, and is measured as the rate at which light energy is delivered to a unit of surface, or energy per unit time per unit area. LUX is the unit of illumination intensity, which is another measurement of light. Just because a bulb has a higher lumen output, doesn’t mean it will “appear” brighter when you look directly at it. Looking directly at the source of light will tell you the lux, or amount of light that specifically reaches your eye. Some LED bulbs are designed with projectors to focus the light in one direction, and that will make them very bright in one direction, or a high lux, but from another angle, the brightness will decrease sharply. Lux is not a good measurement for automotive use, because automotive housings are designed for use with incandescent bulbs, which evenly distribute light in all directions. Your different housings are designed for different purposes- for example, a headlight will collect and focus the light forwards, and a sidemarker will collect and disperse the light to as much area as possible. Because the housing can modify the light path of the bulb, the same bulb can look completely different in two different housings. Two bulbs, one displaying a “high lux,” the other emitting high total lumens that are being dispersed fully in the reflector. Most older LEDs have high lux in one direction, as the light is focused, but they don’t “fill up” the housing. I’m sure we’ve all seen poorly-designed LED bulbs on the road, where you can see high lux, but low total lumens. Remember, just because a bulb “looks bright” does not mean it will perform better. Sometimes high lux is good: you might see us refer to an LED bulb with an integrated focusing lens as “high-lux,” which might be great for backup light applications, where you just want light directed behind your vehicle. However, for most replacement lights, they should evenly distribute the light, just like the factory incandescent. That way, the light housing can do its job and distribute the total light in the way it is designed. High lux is not always beneficial, but it’s always best to have as many lumens as possible! Since Gorgeous Lighting Co.,Ltd. products are designed to replace bulbs in a variety of manufacturer housings, we only provide lumen measurements for our products, to give our customers the best idea of the total light output. We have a scientific integrating sphere to provide accurate measurements to our customers. The material used in the semiconducting element of an LED determines its color. The two main types of LEDs presently used for lighting systems are aluminum gallium indium phosphide (AlGaInP, sometimes rearranged as AlInGaP) alloys for red, orange and yellow LEDs; and indium gallium nitride (InGaN) alloys for green, blue and white LEDs. Slight changes in the composition of these alloys changes the color of the emitted light. Warm white(2700-3500K) can be used when people need comfort, ease and warm surroundings. It is widely used for living rooms, bedrooms, lobby and hallways. 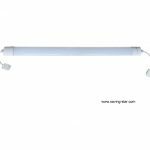 Natural white (4500-5500K) and Cool white led light (6000-7000K) for outdoor and task lighting, office building, Bathrooms, school and public area which need bright light. However, there is a study showing that, warm environments don’t just make us more productive – they also make us happier. In my opinion, the color temperature under 4000K can be used for some places need warm surroundings(I call it relaxing area), and the color temperature 5000-5500K can be used for work or study area, the color temperature above 6000K can be used for the area where needs the brightest light. Bi-color led strip light: normally not bright enough for task lighting, it is a good supplementary lighting. The RGB color is also mainly for decorative lighting purpose, which is mainly adopted as the decorative lighting for entertainment venues. Color Rendering Index Value: CRI (color rendering index) is a measure of how accurately a light source illuminates objects’ true colors. In other words, it is the light source illuminating an object that determines how well humans see color. The Color Rendering Index (CRI) is a scale from 0 to 100 percent indicating how accurate a “given” light source is at rendering color when compared to a “reference” light source. It always good to have a high color rendering index, the higher RA value is, the more real color you will see, it means, the higher the CRI, the better the color rendering ability. Light sources with a CRI of 85 to 90 are considered good at color rendering. Light sources with a CRI of 90 or higher are excellent at color rendering and should be used for tasks requiring the most accurate color discrimination. Color Consistence – Uniformity: As we mentioned, the light color is determined by the color temperature, plus or minus 200 kelvin is acceptable for the light color, however, it is better have the same color temperature, Gorgeous Lighting Co.,Ltd. 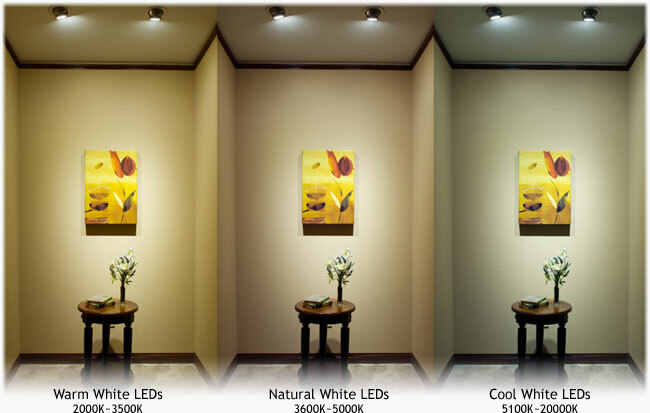 focus on producing LEDs in the same color temperature. Please note, people are able to distinguish the difference of the light color if the color temperature is bigger than 500 kelvin. For example, the light color in CCT 3000K is different from CCT 3500K. The uniform color is so important that people should not neglect, imaging that you see a place installed with LED bulbs which are lighting in different warm white colors, which will make people uncomfortable. LEDs have a general life expectancy of 50 000 hrs, most traditional bulbs had a lifespan of about 1000 hours and LED bulbs come with a claimed lifespan of 25,000 to 50,000 hours. Although this super-long lifespan might be enough for an average consumer, understanding lifespan correctly and maximizing it remains a problem yet to be completely solved. Before the LED bulb is broken, you will see the light in less bright, we call it light decay. People can easily realize the different brightness, and if the brightness depressed shortly, we can see the LED bulb is not very good,we think it is time to replace with a better one. How to find the led bulb with less light decay? First, as the light source, LED should be made with high quality. The light fades of LED made by each companies are different, there are light decay also for high-power LED, and it’s have direct relationship with temperature, mainly depend on the chip, phosphor and packaging technology. The LED luminosity attenuation (including luminous flux attenuation, color change, etc. ), is a measure standard of the LED quality, also it is great concern to many LED manufacturers and LED user, thus, to adopt high quality LED is key to the bulb light. Second, to drive LED with proper current and voltage is also very important. This require LED electric circuit should be scientific designed. We’ve found some companies to get high brightness by enlarging the working current, which will make a very bad light decay for LED light. The last but never least, high performance thermal management is necessary. LED is fixed on the aluminum PCBs, which is good for heat dissipation, and the light construction and materials should be made not only in safe and beautiful purpose, but also the high performance thermal management. There has many different LED light bulbs, produced in vary types of LEDs, such as SMD LED, COB, High power(Not popular for bulb light), and filament. People are very familiar with SMD & COB & High power LEDs, but LED filament bulb is the latest product, which seems like traditional Edison Bulb, but much more energy efficient. Kindly note, LED bulb with high luminous efficacy means higher output lumen at the same power. But it is hard to say the LED bulb with higher luminous efficacy is better. Why? As for the same LED type, such as SMD LED bulbs, it is able to increase the quantity of SMD LEDs and lower the current to have the same power with higher lumen. The power efficiency of a good LED driver should be more than 85%. The higher power efficiency is, the less power consumer will be. Gorgeous Lighting Co.,Ltd. 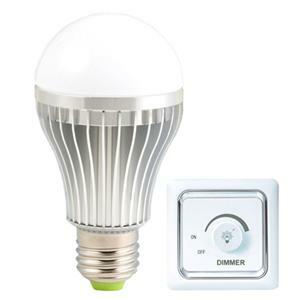 adopt the high efficient LED driver more than 85% as the power source for LED light bulb. The average life expectancy of most LED drivers is around 50,000 hours. LED drivers protect LEDs from voltage or current fluctuations, as a result, if there has a problem with LED driver, it will damage LED light. If the driver or power supply provides a current or voltage that is too high, LEDs will suffer overdrive and will either fail short of their lifespan. Not all LED bulbs are dimmable, only lamps that have been specifically designed by the manufacturer as dimmable may be dimmed. Attempting to dim a non-dimmable LED bulb or using an incompatible dimming method will result in undesirable behaviour or complete lamp failure. 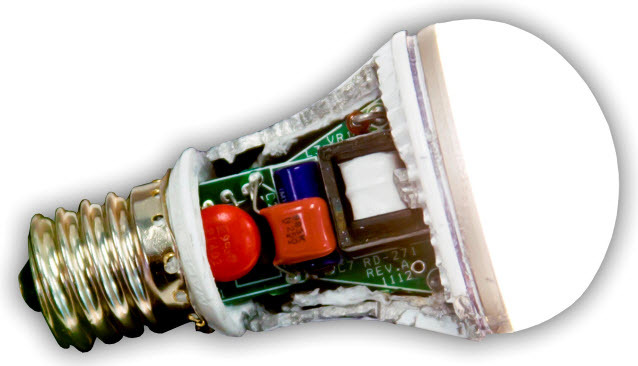 Dimmable lamps may only be compatible with certain dimming techniques, the most popular dimmable solutions for LED bulb light are: Leading edge and Trailing edge dimmable techniques, but there are many other methods that can be used such as DALI, 1-10, DMX and PWM, if compatible to the LED lamp type. The customers should firstly identify if the dimmer is compatible with LED lights, if yes, then find out which type of the dimming control, triac dimmable or 0-10v or another type. If you really don’t know the compatibility of the dimmer, you can read the instruction of the dimmer, or contact the supplier of dimmers. You can also contact us for help by offering the dimmer brand, model name etc. Our dimmable LED bulbs have been tested by major dimmers, which work very well with our light. Size is denoted by a number following the shape. In the US these numbers indicate the maximum diameter in eights of an inch. In other parts of the world this measurement is given in millimeters. For example the US bulb, R20 signifies a measurement of 20/8 or 2.5″ in diameter. Metric examples include the A19 which is a typical household incandescent light. A type bulb shapes are standard house hold light bulbs. The number after the bulb shape is the number of eighths of an inch in diameter. For metric measured bulbs the number following the bulb shape is the number of millimeters at the widest point of the bulb. 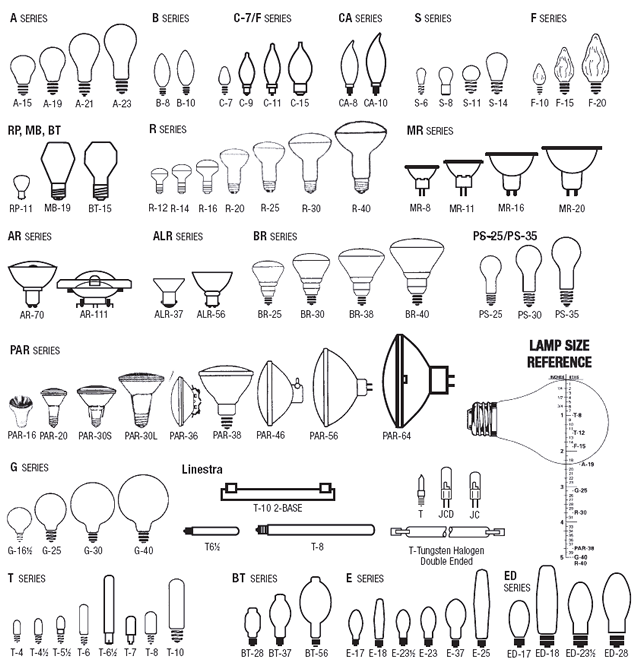 Standard bulb sizes include A19 for imperial measurements and A60 for a slightly smaller metric measured bulb. B shaped bulbs are also known as Candelabra Light Bulbs. 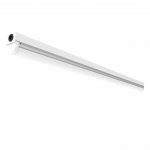 They have a bulged base that tapers to a rounded or pointed tip. In some bulbs the tip is bent giving the slight look of a flicking flame. These bulbs are common in chandeliers, night lights and lower wattage applications such as holiday string lights. Typical bases for C shaped bulbs are E14. PAR lamps stand for parabolic aluminized reflector lamp which has reflective surface to focus the light. For LED lights the PAR description is used to define the shape, as most do not have a reflective surface due to the directional nature of LED lights. Common PAR lamps include the PAR20, PAR30 and PAR38, though many other sizes exist. These can give various beam angles that can make good spot and flood lamps. LED light bulb base types are typically measured by type and diameter in millimeters. For example a typical Edison medium screw-in base like E27 is 27 millimeters in diameter. LED bi-pin bases, like a fluorescent tube replacement or a bi-pin MR16, are measured between the centers of each pin. E27 For example a standard European screw-in incandescent bulb has a base type of E27. E stands for Edison screw-in and the 27 means that the base is 27 millimeters. The housing shell material can be aluminum, ceramic,glass and high heat conductivity plastic. Aluminum housing construction is the most popular. However, the plastic material with high heat conductivity is now very popular, the cost is lowest, and it is compliance with the safety requirements. Even though, we prefer to the aluminum. desk lamp might don’t need wide light angle, however, many applications will prefer to the wider beam angle. Customers will be easily find the beam angle information on the light body, the stick labels or gift boxes. 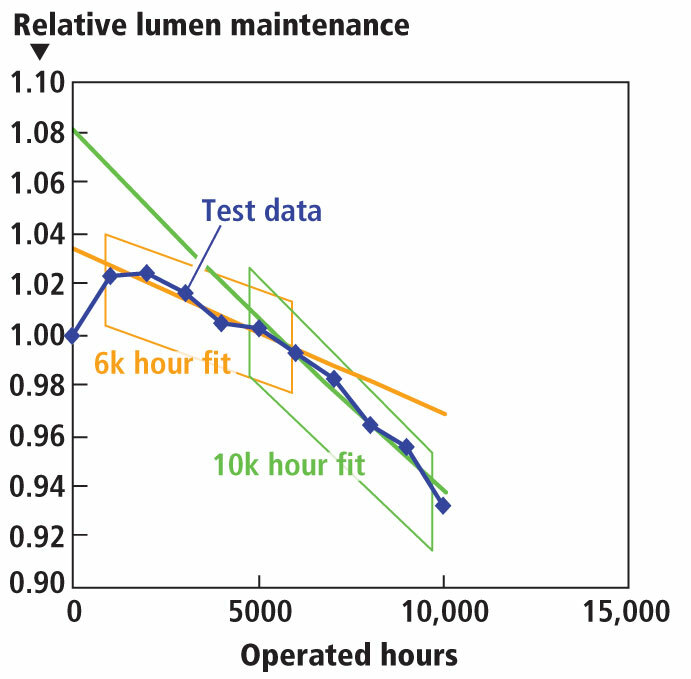 As we know, overheat will cause the problem of light decay, thus, it will reduce the lifespan of LED light. For this reason, heat dissipation is very important to have a lifelong working of luminaire. At the beginning, as for the light construction,we put the thermal management in the first place, as a result, our thermal management perform very well by working with our scientific heat sink. In addition, our heat sink are all made from quality aluminum to ensure the good conductivity of heat. Collect the relevant information on the type, quantity and hours of operation for your existing light bulbs. If you are not certain of the types of lights you have you can use our wizard to identify the types of light bulb you are currently using. Also, use the chart below to find replacement LED light bulbs that may work be more suitable to a more specific application. Determine what lights have the best return on investment. The key considerations on retrofit selections bulb shape, size, socket, beam angle and colour temperature. Most of LED bulbs will be purchased for indoor lighting, or under the roof in outside. 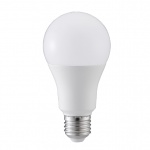 As for indoor lighting, LED bulb lights are non-waterproof, most of them are IP20 rating. If you need install the LED bulb for bathroom or some place with lots of stream, you should consider purchase the LED bulb in IP44 or higher. If the LED bulb light installed outside, it should be put in the waterproof light fixture, otherwise, the light bulb must be waterproof IP65 grade at least. 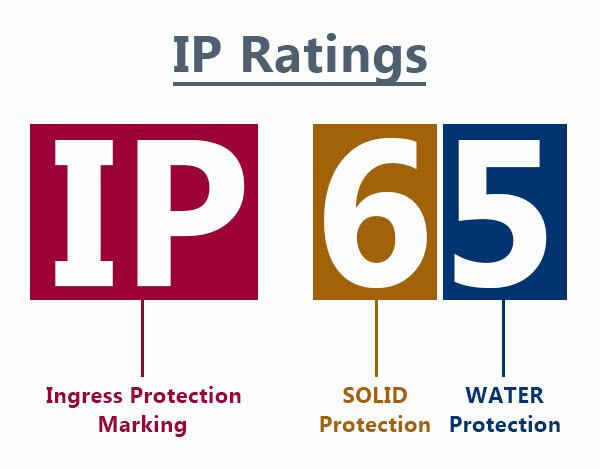 Kindly see below IP rate chart for your reference. IP08 Not protected from solids. Protected from long term immersion up to a specified preasure. IP18 Protected from touch by hands greater than 50 millimeters. Protected from long term immersion up to a specified preasure. IP28 Protected from touch by fingers and objects greater than 12 millimeters. Protected from long term immersion up to a specified preasure. IP38 Protected from tools and wires greater than 2.5 millimeters. Protected from long term immersion up to a specified preasure. IP48 Protected from tools and small wires greater than 1 millimeter. Protected from long term immersion up to a specified preasure. IP58 Protected from limited dust ingress. Protected from long term immersion up to a specified preasure. IP68 Protected from total dust ingress. Protected from long term immersion up to a specified preasure. During these years, lots of LED light bulbs recalled due to the security issues. New light technologies require new standards and testing benchmarks. Gorgeous lighting is glad to keep you up to date and informed on the progress of standards and regulation related to solid state lighting for general illumination and to provide resources and information. 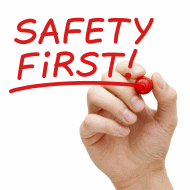 What is the Content of Safety for LED light? To resolve the safety of LED light in not only necessary but also benefit for the user and manufacturer. Such as,the CE Marking Is Required in the Countries of the European Economic Area (EEA), the UL market is for the North America, and SAA for Australia, etc. From an industry perspective standards and regulations provide a platform for consistent language in regard to definitions, test methods, laboratory accreditation and for product design, manufacturing and testing. From a governmental perspective, regulation helps ensure public safety, provides consumer protection, regulates energy consumption and monitors environmental issues. Standards are voluntary and Regulations are mandatory. Gorgeous lighting gives insight into industry standards and regulations, presenting information on how they provide a platform of consistent language in regards to test methods, definitions, laboratory accreditation and more. 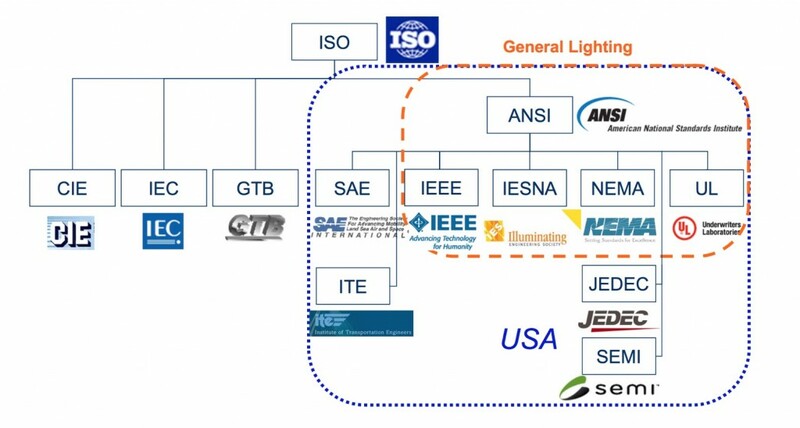 Organizations that are developing LED Lighting Safety Standards. Kindly note, we just listed part of the information, if you need more information please contact us. Kindly note, a manufacturers’ statement of ‘Average Rated Life Hours’ does not imply a warranty time. We will replace all defective products for a period of 2 years. Gorgeous Lighting will also cover the return shipping for such defects if necessary. We will analyze the defective product and solve the potential problems timely. What If My Product Was Damaged During Shipment? On occasion a product will get damaged in transit, much to our regret. Should you be an unlucky recipient of a damaged product, please take pictures for the broken products, and send to us, we will get to work immediately on getting a replacement to you. For other manufacturers, we recommend you sign the agreement on the warranty and after-sale service, which is very necessary and important for protecting the customers and reduce the loss, and it will also a guide for the customers to solve the potential problems in near future.